This “thorough study” could be a very little step in the right direction — certainly too little and arguably too late. ROME, October 6th, 2018 — The Press Office of the Holy See released a communiqué on Saturday afternoon, offering the first direct response to the 11-page letter of “testimony” published in late August by the former Apostolic Nuncio to the United States, Archbishop Carlo Maria Viganò. In other words: we are in essence looking at a promise to review documents on file. The Holy See promises the review will be “thorough”, though it says nothing about who will be conducting the “thorough study” or with what precise mandate, let alone what powers of discovery — if any — those tasked with the “thorough study” are to have. The paperwork review will be “combined” with the information gathered during the Archdiocese of New York’s preliminary investigation, which the Archdiocese forwarded to the Congregation for the Doctrine of the Faith. It is hard to say what the “thorough study” promised by the Vatican will be. For one thing, “The entire documentation present in the Archives of the Dicasteries and Offices of the Holy See regarding the former Cardinal McCarrick,” could be very vast, or relatively thin, depending on what construction one puts on the word “regarding”. It is easy to say what the “thorough study” will not be: an independent, transparent, and credibly complete investigation, apt to discover the extent of the rot in the Roman Curia (let alone the reach of McCarrick’s corruption in the United States). In his letter, Viganò alleged a coverup of the conduct of the disgraced former Archbishop of Washington, DC, going back nearly twenty years and involving three popes — including Francis — as well as three Cardinal Secretaries of State — including the current one, Cardinal Pietro Parolin — and dozens of other very senior Churchmen. McCarrick fell spectacularly over the summer, but he did not rise alone, or unaided — and while he was ascendant, he brought men with him. The state of affairs leaves the entire US hierarchy under a cloud of suspicion. The US bishops’ credibility is in tatters, and they are by their own admission unable to police themselves. Their requests for assistance from Rome to investigate their own conduct have not been granted. The Communiqué from the Holy See on Saturday reiterates the measures in place against McCarrick — suspension from ministry and a life of secluded prayer and penance — but made no mention of a trial. The Communiqué also promises, “The Holy See will, in due course, make known the conclusions of the matter regarding Archbishop McCarrick,” though it is not clear from the Communiqué what “the matter” is. It is also unlikely that either Cardinal Angelo Sodano or Cardinal Tarcisio Bertone — former Secretaries of State under Francis’s two most recent predecessors — will escape with their reputations intact. Both were implicated in Archbishop Viganò’s August letter. Both by rights ought to have known about McCarrick. Sodano would have received the letter solicited by the Apostolic Nuncio to the US at the time, Archbishop Gabriel Montalvo. Written in late 2000 by Fr. Boniface Ramsey, OP, after the announcement of McCarrick’s appointment to Washington, the letter detailed reports Ramsey had heard from seminary students regarding McCarrick’s penchant for inviting himself into bed with seminarians. Cardinal Bertone allegedly received evidence from Archbishop Viganò’s immediate predecessor, the late Archbishop Pietro Sambi, stemming from an Indictment Memorandum prepared by a priest punished with laicization for abuse of minors, Gregory Littleton of Charlotte, and summarized by Viganò in his capacity as Delegate for Pontifical Representations. Right now, the path the Holy See is following seems to lead away from Pope Francis. The concluding paragraph of the Communiqué commences with a renewal of Pope Francis’s “pressing invitation to unite forces to fight against the grave scourge of abuse within and beyond the Church, and to prevent such crimes from being committed in the future to the harm of the most innocent and most vulnerable in society.” It goes on to remind us of the meeting of the Presidents of the world’s bishops’ conferences, scheduled for February of the coming year. The Communiqué then quotes the Holy Father’s August 20thLetter to the People of God. This “thorough study” could be a very little step in the right direction — certainly too little and arguably too late, given the legitimate impatience of the faithful and the manifest readiness of Caesar to clean the Church’s house. There is little reason to credit it as anything other than a time-buying measure: in essence, a delaying tactic. In any case, it is something for Pope Francis to talk of sharing responsibility for fixing this unholy mess, when he is the only one with any power to do any thing about it. Vatican City, Nov 7, 2017 / 06:15 am (CNA/EWTN News).- On Tuesday Pope Francis voiced his sorrow after 26 people were killed at a Baptist Church in Texas over the weekend, offering his support and praying that such acts of meaningless violence would come to an end. In a Nov. 7 telegram signed by Vatican Secretary of State Cardinal Pietro Parolin, Pope Francis said he was “deeply grieved by news of the loss of life and grave injuries” caused in Sunday’s shooting at a Baptist church in Texas. 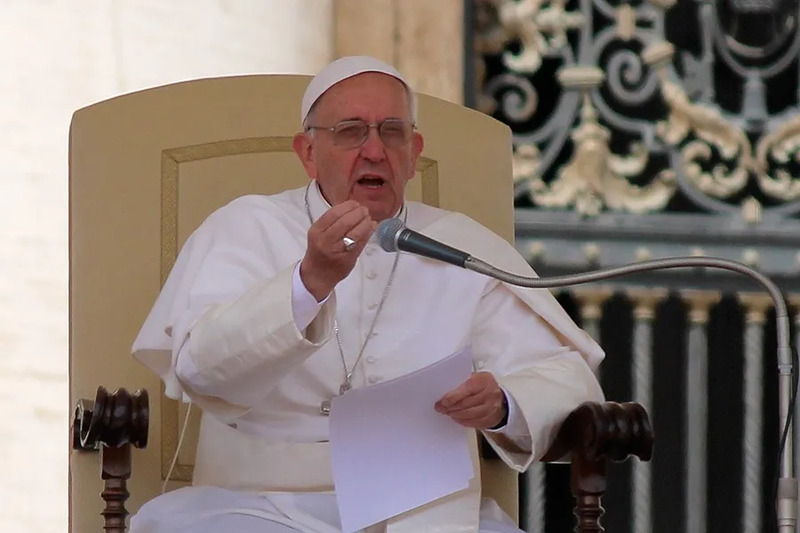 Francis condemned the “senseless violence” and offered his “heartfelt condolences” to the families of the victims and wounded, members of the congregation and the local community. The Pope’s telegram comes just two days after at least 26 people were killed when a gunman opened fire at the First Baptist Church in Sutherland Springs, Texas. Sutherland Springs is a small town located about 35 miles southeast of San Antonio. At least 20 others were taken to the hospital after the shooting, which police believe was motivated by a domestic dispute. After the shooting, the gunman fled the scene, and was later found dead in his car by police. The shooting marked the latest in a series of similar incidents throughout the United States in recent months, and is the deadliest on record in the State of Texas. “The evil perpetrated on these who were gathered to worship God on the Lord’s Day – especially children and the elderly – makes no sense and will never be fully understood,” he said, adding that there are no adequate words for the “disbelief and shock” produced by the deadly affair. Yes, Bergoglio, we are all responsible for the scandal in the church including not just payouts and cover ups but drug crazed orgies near the Vatican. Perhaps the cure/best penance for “clericalism” is no more donations which would support “clericalism” anywhere. The insulting sense of denial never ends. So, the Pope decides finally to conduct an investigation. It seems that the delay was the perfect amount of time to search through all their files, and get rid of anything incriminating. Then there is the hint that they will try to hang JP II and Benedict and pretend that Francis knew nothing about McCarrick. Given that we know the depth of the rot within the Vatican itself, this announcement that they will investigate themselves means nothing at all. Sort of like the British government investigating itself in 2004, only to discover that, waddayano, they didn’t kill Princess Di after all, and now we have the official proof. Francis ought to hope that Archbishop Vigano did not make copies of all relevant documents to support his allegations. Could you imagine if there’s a whitewash and then documents surface showing the investigation to be chock full of lies? The AG’s will not buy into this nonsense from Rome. AG’s will rip into what they see as a criminal enterprise and proceed accordingly. Pewsitters will pay spiritually and financially. I’m so sick of all of this. Have you ever seen a tennis player toss himself a ball, and then burn it across the net for an ace? 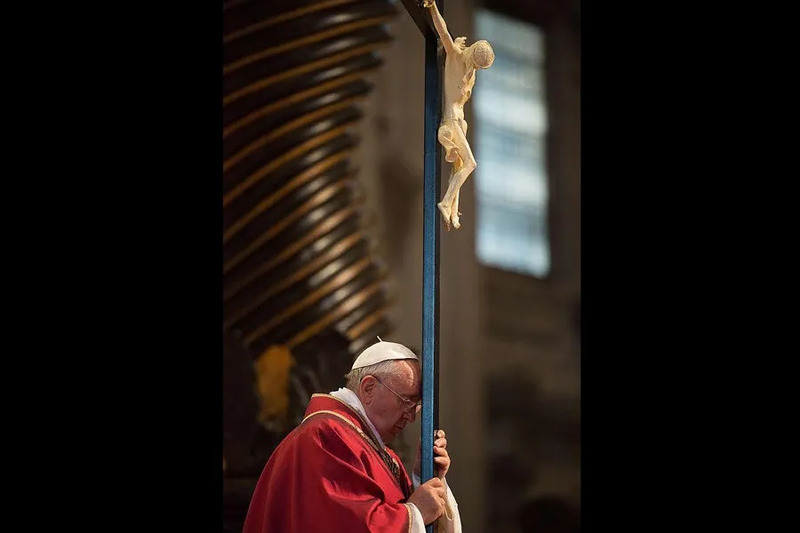 That is the visual which suggests itself, now that we find this announcement of a “thorough(ly unsatisfactory) investigation” authorized by Pope Francis followed up so swiftly by the open letter to Archbishop Vigano from Cardinal Ouellet. The investigation announcement didn’t make much sense, all by itself. It does now, though. 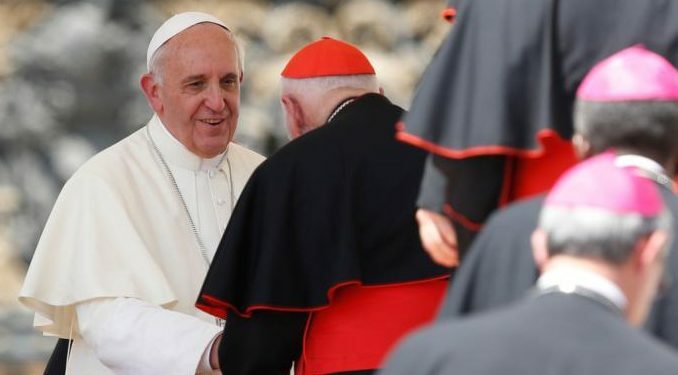 Now, anyone still defending the Archbishop can be scolded, “Cardinal Ouellet says to stop being so mean to poor, poor Pope Francis!” and any insistence that we get beyond personality conflicts entirely and down to brass tacks can be deflected with a simple, “But haven’t you heard? The investigation is already taking place!” Now, instead of focusing on the–ahem–“mistakes that were made,” we’ll all be busy unraveling the tangled mess caused by the carefully-timed Ouellet intervention. Point, game, and set, Bergoglio. Point, game, and set, perhaps–but not match. 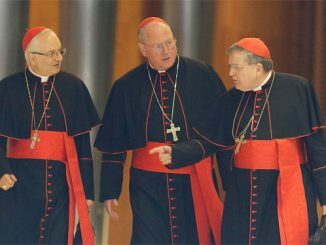 If Francis were serious about investigating, he could appoint Cardinals Burke and Muller to head it up and give them wide powers. Both must know how the Vatican operates and they have the confidence of the Catholic faithful. Of course, Francis will never do that, as he knows that the investigation must be directed away from him. It seems, tragically, that it still hasn’t dawned on the Pope and his minions that this whole issue goes much deeper – there was a time when the Vatican had but to speak and it would automatically be given the benefit of the doubt in the vast majority of cases. That’s how it was when I was growing up – I’m now 75. Those days are gone, but the Pope doesn’t seem to realize that. We ALL realize that reform in the Church is desperately needed, and history teaches us that is such times it comes from the laity – us. To me the best example of this is, of course, St. Francis of Assisi. With the most important week of the year fast approaching, what better time could there be? We begin as always with prayer, fasting and sacrificing. Recommended reading – Michael O’Brien – Father Elijah. An Apocalypse.